This paper is the second of a three-part series, each part focusing on a particular aspect of Multi-Domain Battle’s utility for the United States and its allies. The first article examined whether those driving Multi-Domain Battle have identified the right problem. This article focuses on the cultural factors that may hinder the concept’s utility, and the final one will address its compatability with U.S. grand strategy. Major military innovation is often accompanied by tension between the camps representing the old guard who fight to preserve their place in the existing way of war and the disrupters who lay claim to a potential new order. There is much at stake in these cultural struggles in which fights over status, authority, budget, and pathways to high rank are relatively minor manifestations when considered alongside the main event—military effectiveness in future wars. The stakes are indeed high. Imagine the U.S. Navy’s ability to fight its way across the Pacific in the Second World War if carrier aviation had not been allowed to flourish in the interwar years. High stakes generate impassioned confrontations between warring sides. One should not forget the intensity of the debate between the advocates for the tank and the supporters of the cavalry over different futures for mechanisation. Some debates are never completely settled. For example, the utility of the carrier is again being challenged, as new technologies re-energise old arguments. However, Multi-Domain Battle as the U.S. Army’s future warfighting concept has not yet faced much challenge or criticism, at least not in public. Critically, its potential effect on the existing organisational culture has received even less attention. Perhaps this is because of its high level endorsement among the U.S. Army’s key 4-stars. Senior officers do have great power, but while they can order Multi-Domain Battle’s implementation, the U.S. Army will still need to address the concept’s potential effect on existing institutional culture if its adoption is to succeed. The ability of U.S. military culture to adapt to the requirements of Multi-Domain Battle, therefore, requires far greater consideration than it has received to date, and some study of the areas of potential cultural sensitivity and conflict that need to be addressed. Perhaps the most critical cultural issue those developing Multi-Domain Battle must resolve is a contradiction so significant it might be fatal to the concept’s success. Few would argue with the proposition that the world is becoming increasingly connected. In fact, humanity is on the cusp of what futurists call the 4th Industrial Revolution, in which the physical, biological, and digital worlds will merge. While such claims may seem far-fetched, information and its management is certainly growing in significance across society as well as in monetary value. Connectivity favours speed, freedom, sharing, delegation, and individuality, attributes the digital natives of today take for granted. Can the strengths of connectivity be made to work in military command systems emphasising hierarchy, control, integration, and coordination? Integration, for example, is one of the buzzwords of those advocating Multi-Domain Battle, and its achievement is absolutely critical. There is, however, a second order effect to examine. If integration is achieved, will it result in faster and better-targeted decision making or in more command interference that slows the ability of those in the field to act? Anyone who has viewed U.S. Army PowerPoint briefs might conclude they know how to integrate. Complex slides of wire diagrams with myriad linkages between nodes abound, and they are certainly convincing. These images are also replete with complexity, however. How often will systems of such complexity seamlessly deliver the desired effect? How vulnerable will they be to enemy interference or old fashioned Clausewitzian friction? Ultimately, these nodes and the linkages are dependent on the personalities of select individuals—not necessarily senior officers—who occupy a critical spot in the matrix. 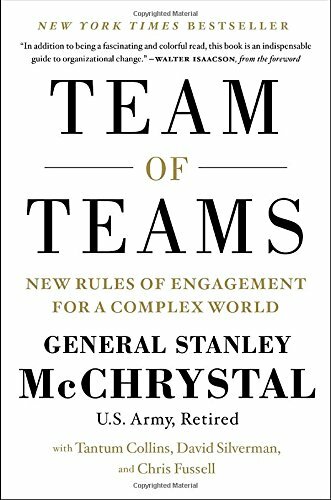 As General Stanley McChrystal has shown in Team of Teams, empowering humans and sharing information works, not implementing a design whose allegiance is bound to values and hierarchies of an earlier age. Actually, integration is only half of what is needed, and it is arguably the less important half. The more critical requirement for Multi-Domain Battle is agility. Whether the design allows for the agility necessary to wage a future war in which the volume and speed of information flow is unprecedented and its processing by quantum computers overwhelms those lacking artificial intelligence assistance is at best unclear. Delegation of authority for decision-making is the essence of mission command and is not new, but will senior officers and political leaders accept privates and junior non-commissioned officers making decisions with potentially strategic effects? The expectations for the strategic private are of long standing, but all too often what has resulted is instead the tactical general. Will future commanders be comfortable having their options generated by devices possessing artificial intelligence? If Multi-Domain Battle is to work, the contradiction between freedom and control must be resolved and individuals—even machines—must be entrusted with powers they do not currently possess. This is not a question of getting the technology or the wiring right, but of getting the people and the culture right. If it cannot be done, then embracing Multi-Domain Battle may prove pointless at best. At worst, it may result in disasters as calamitous for the United States as the embrace of methodical battle was for the French in the interwar period. If Multi-Domain Battle is to work, the contradiction between freedom and control must be resolved and individuals—even machines—must be entrusted with powers they do not currently possess. The need for agility also mandates another change. Multi-Domain Battle will require a different kind of leader and those commanders who came of age in the era of jointness may not be suitable for the era of Multi-Domain Battle. Military organisations are very good at producing specialists, but Multi-Domain Battle demands generalists, people of an entirely different temperament. Will the present training regimes and promotion policies allow generalists to come to the fore in the future? Perhaps this can occur, but the cultural and policy changes required will be enormous. Still, if Multi-Domain Battle is not forcing the military to reconsider the fundamental tenets of how it educates,trains, and promotes its leaders, perhaps the concept is less revolutionary than it seems. One could argue Multi-Domain Battle’s designers are not radical enough if those representing the status quo are not made uncomfortable. Multi-Domain Battle will also generate questions as to who the warriors of the future will be. For centuries, there has been a clear distinction between combatants and those who are not, even the distinction has not always been observed. This is changing. For example, is there a need for a cyber operator to wear a uniform, be in a military unit, or work from a military base? Can those conducting information operations be civilians? As Multi-Domain Battle leads to a greater opportunity for effects in the cognitive domains, will this also result in more opportunity for the privatisation of war? If yes, do such operators need to be U.S. citizens (or citizens of allies), or might they even work from a contracted cognitive warfare centre in Bangalore, a facility which might simultaneously represent multiple clients! Do future warriors even need to be adults? And one must then ask what constitutes a valid military target under the laws of war in these circumstances. The existing laws of war are being challenged in new ways, and the accepted norms regulating who can do what to whom will need re-examination. For example, civilian citizens of non-allied nation who take a position on social media may unwittingly make themselves a target. Even more concerning, soldiers who conduct certain kinds of missions may be denied the membership of the profession of arms they formerly enjoyed. The issue of who is a combatant and what they are allowed to do goes beyond the question of a simple update to rules of engagement. There are also ethical and moral injury implications at stake. Soldiers will need to be assured the actions they take are legally and ethically just. They will need to trust the advice or orders they receive from partners empowered by or entirely comprised of artificial intelligence meet the requirements of a moral and just war. Soldiers, and the army as an institution, may also need to revisit the code of honour and redefine what is meant by the warrior ethos. We have only just begun to unpack the ethics of Multi-Domain Battle, and clearly much greater thought is needed. Those driving Multi-Domain Battle should be concerned that its effect on institutional culture has received so little consideration. This may be a result of its high-level advocacy amongst the leadership of the U.S. Army, since the chain of command has left no doubt about its intentions and therefore left any potential opposition without a voice. This cannot last. Culture can be suppressed but not forever. It will bubble to the surface as implementation commences and the status quo comes under threat. The effect of Multi-Domain Battle on existing culture will need to be dealt with at some point, and when it does the engagement need not be a negative one. 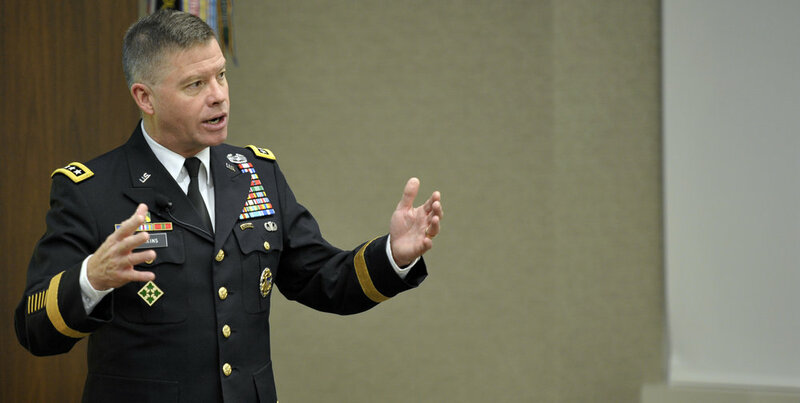 The existing culture may welcome the opportunity to realign the Army’s hierarchy. For example, the potential rise of cyber warriors and social media operators as the shock troops of the future need not be seen as an existential challenge to the existing branches as mechanisation was to the cavalry arm. There is, however, another and more troubling reason that may explain why considerations of culture have been nearly absent in the discourse on Multi-Domain Battle. Truly revolutionary innovations invariably lead to substantial changes in the character of war, if not society. Today, the U.S. Army still possesses horses, but their role is reserved for ceremonial occasions, when once they were the dominant and most prestigious arm of armies across the world, with membership in the cavalry reserved for the social elite. The rise of the infantry following the gunpowder revolution did not just displace the mounted arm; it overturned a feudal order and rebuilt society along new lines. Is the cultural complacency of contemporary commentators as signal that Multi-Domain Battle does not pose a threat to the existing order? If this is true, it may mean the proponents of Multi-Domain Battle do not aspire to create a revolution in how the United States wages war, but seek it t for other reasons, perhaps to lay claim to a larger share of the budget or a more prestigious place for the land force in the defence of the nation. Maybe this is too conspiratorial, but more than an iterative improvement in the existing system is needed if the U.S. Army and its allied land forces are to embrace the opportunities that the 4th Industrial Revolution may offer. Those advancing Multi-Domain Battle must push the institution out of its cultural comfort zone if something truly revolutionary is to result. Albert Palazzo is a Canberra based defence thinker. He has published widely on the history of the Australian Army and on the changing character of war. In addition to multi-domain battle his research interests include climate change and its effect on Australian security. This article is based on an address the author gave at the May 2016 USARPAC Commanders Conference. The views expressed here are the author’s own. David E. Johnson, Fast Tanks and Heavy Bombers, Innovation in the U.S. Army 1917-1945, Ithaca, Cornell University Press, 1998. For an exception see, A J Shattuck, "The Pipe Dream of (Effective) Multi-Domain Battle," Modern War Institute, 28 March 2017, at https://mwi.usma.edu/pipe-dream-effective-multi-domain-battle/ (accessed 10 July 2017). For a measurement of the world’s connectedness see, DHL Global Connectedness Index, 2016 at http://www.dpdhl.com/en/logistics_around_us/future_studies/global_connectedness_index.html (accessed 16 October 2017). For a longer account see, Klaus Schwab, The Fourth Industrial Revolution, Geneva, World Economic Forum, 2016. See Stanley McChrystal, Team of Teams: New Rules of Engagement for a Complex World, New York, Portfolio, 2015. On French interwar failure see, Robert Allan Doughty, The Seeds of Disaster: The Development of French Army Doctrine 1919-1939, Archon Books, Hamden, 1985. On the ethics of future war see, Tom Frame and Albert Palazzo, eds., Ethics under Fire: Challenges for the Australian Army, Sydney, UNSW Press, 2017. See also, Robert H Latiff, Future War: Preparing for the New Global Battlefield, New York, Doubleday, 2017. Thomas F Arnold, The Renaissance at War, London, Cassell, 2006.